Perhaps the parish ministry that best exemplifies these words of Christ is Parish Outreach. 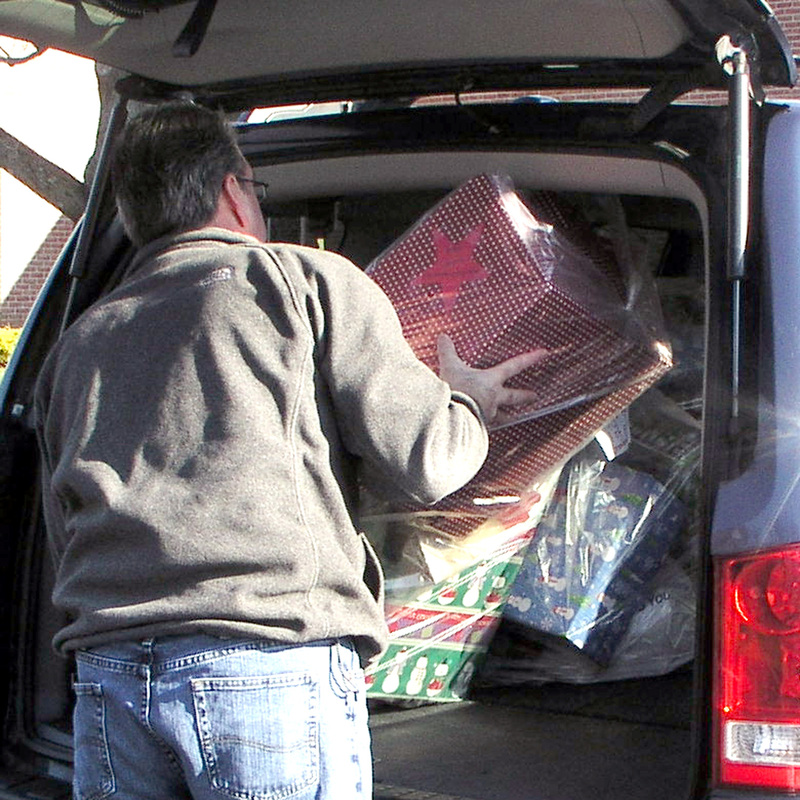 St. Patrick Parish Outreach is a multi-faceted ministry that offers support and service to those in need. Our Outreach staff and volunteers strive to serve others compassionately, with sensitivity and confidentiality, treating each person with the dignity we all deserve. 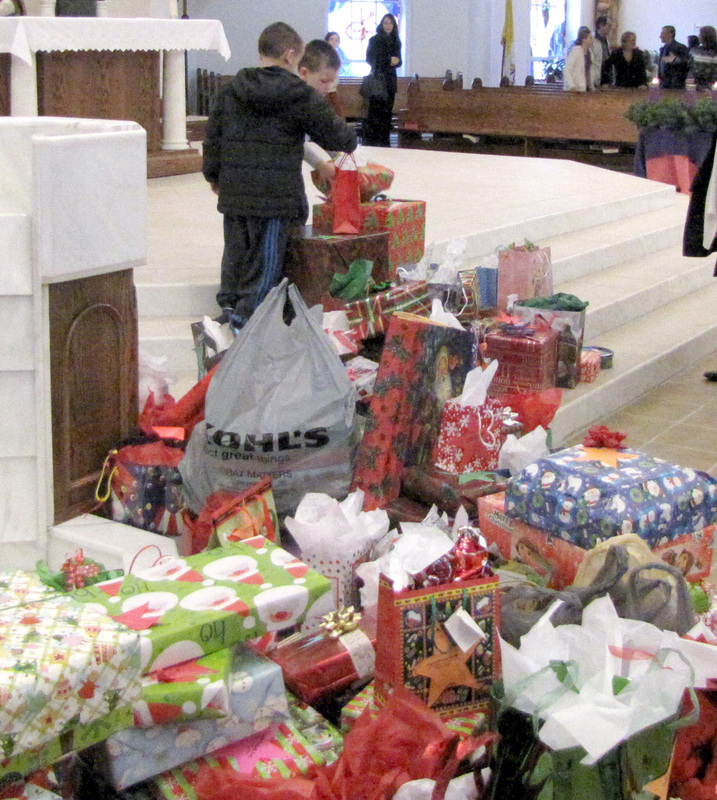 The work of Outreach is most visible in our parish during holiday times. 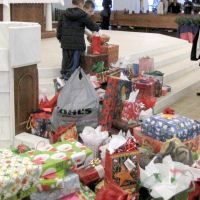 Each Christmas, our parishioners provide thousands of gifts for families in need through Outreach’s Reach for a Star program. At Thanksgiving, Christmas and Easter, the makings of a holiday meal are delivered to families who are struggling financially. But Outreach does much more than provide holiday help. 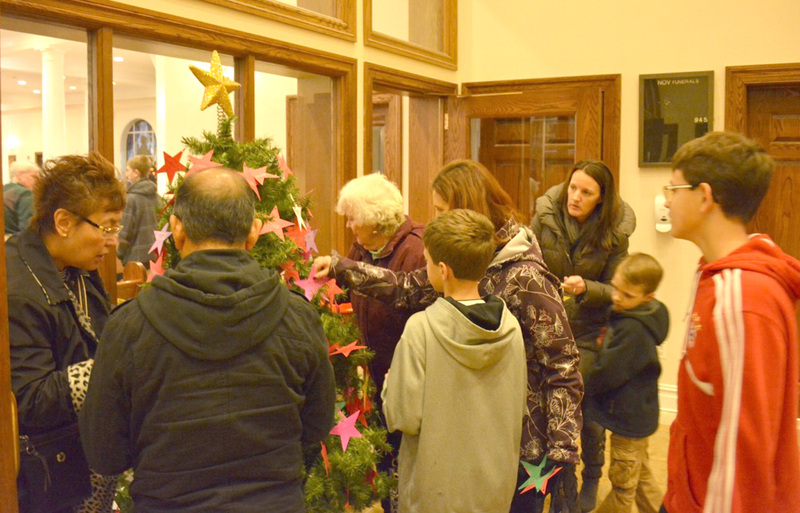 Parish Outreach helps prevent foreclosures, evictions, and power shut-offs. 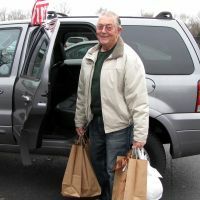 Outreach also provides food and helps with job searches – all in an effort to help those in need re-establish their lives. For those who have suffered the loss of a loved one, Outreach offers bereavement services. And for those in need of advocacy, Outreach advocates for those who cannot speak for themselves, whether it is a phone call to PSEG regarding a bill or speaking to a legislator regarding a civic matter. Outreach ministries fall into three categories: Direct Service, Convening, and Advocacy. Food Pantry – Provides food for those in need. Job Outreach – Logs both employers and the unemployed and attempts to bring them together for mutual benefit. 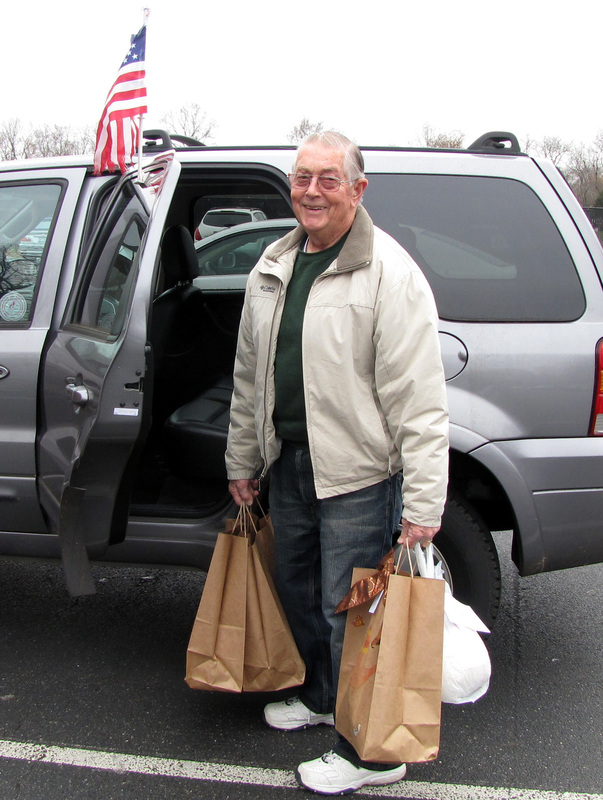 Share-a-Meal – Parishioners prepare meals for those in emergency situations. Ministers to Homebound and Sick – Bring the Eucharist to those who are unable to attend Mass. Ministry of Consolation – Lay people reach out to express care and concern to those who mourn and assist with the details of funeral rites. Ministry of Prayer - A spiritual ministry in which people pray for those who request the power of intercessory prayer. 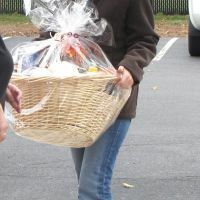 Ministers to the Nursing Home – Distribute the Eucharist and pray the Rosary weekly with residents. Friendly Visitors – Provide visits to shut-ins to break the loneliness and monotony. 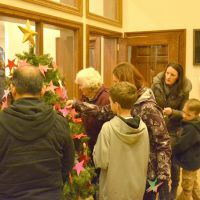 Holiday Projects – Includes provision of food baskets for holiday meals and Reach-for-a-Star Christmas gifts, involving the whole parish in caring generosity. Bereavement Support Group – Helps those who are working through the grief of losing a loved one. Rainbows and Spectrum – Bereavement peer-support groups for children and adolescents experiencing a loss through death, separation or divorce. Single-Parents Support Group – (for parents of children in Rainbows and Spectrum) Engages in discussion centering on relevant parenting skills, related topics and prayer. LifeNet – Ministry to women and their families experiencing an unplanned pregnancy. Justice and Peace Committee – Helps create awareness and understanding of the Church’s Social Teachings on peace and justice. Public Policy Education Network – Seeks to encourage Catholics to become active in the community and world as they reflect on issues from the perspective of the gospel and Catholic social teaching. Provides a vehicle for communicating public concerns from community to diocesan, state and national conferences.